As we say with all updates, irrespective of where they come from, do not do the update if you are in the middle of a key project. Wait until the project is completed, and it doesn’t matter if its Pro Tools, Waves or iLok, the same message applies. The only difference here is if you need to work on your iLok licenses you have to do the update. So I clicked on the OK button and was presented with the window at the top of the story which explains what fixes are in this new version of iLok License Manager. I downloaded and installed the update and although there is a lot of ‘under the hood’ work gone on as users there is a very useful feature that iLok have added to the license manager. I also ran Pro Tools and didn’t get any nasty, “I can’t find the license” messages so all seems well on that front. I don’t know if you are anything like me, but I have a lot of old and expired licenses cluttering up my license manager windows. 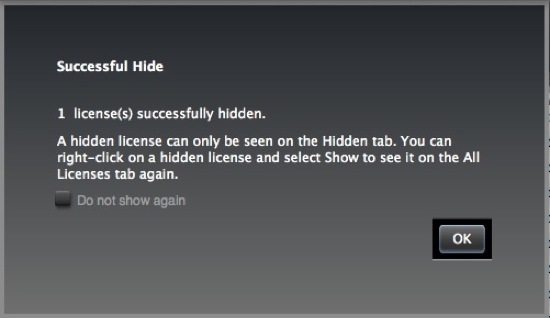 Well now you can hide them all into a new Hidden tab. 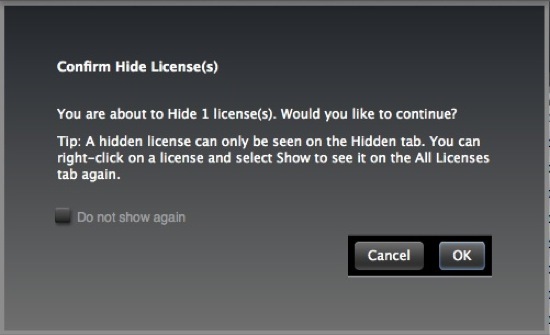 Once you are logged in on your iLok License Manager with v2.4 or higher, go to your All Licenses tab and now if you right click on a license you get the option to Hide it. Maybe my situation is a little different but I have a lot of old NFR licenses that have expired and so I was able to go through and move them into the new Hidden tab. You can do them in bulk by selecting multiple licenses and I was able to clear out hundreds of expired licenses, not just NFRs but licenses for software that no longer exists. Be aware that some licenses that are on an iLok will need deactivating before they can be hidden but the License Manager will advise you of this, if you try and hide a license that needs to be deactivated first. If you need to deactivate a license then select it from the list for that iLok, right click on the license and select the Deactivate option. Once deactivated you will be able to hide the license. 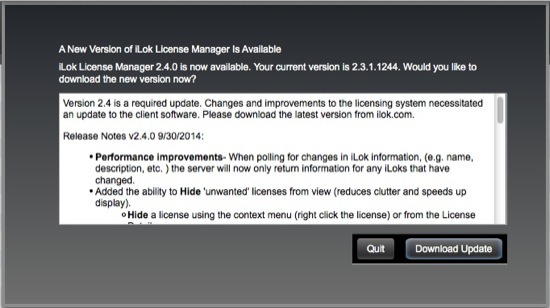 Click here to get details of all the fixes in v2.4 of the iLok License Manager.